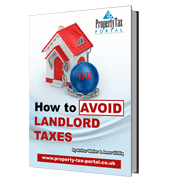 Find the answers to commonly asked UK property tax-related questions in this handy resource. If you have a question you'd like answered, we invite you to contact us! Every month your property tax questions are answered by our tax experts. You can have these Q&As as well as other property and tax saving tips emailed directly to your inbox by subscribing to our free monthly newsletter. Save over 40% when you purchase our ‘Property Tax Pack’, which consists of our three property tax busting guides and the free ‘101 Property Tax Questions Answered’ CD. There is no easier way to slash your property tax bills than by following any of the proven strategies in this guide. 166 pages of tax busting information and over 100 practical tax saving case studies. 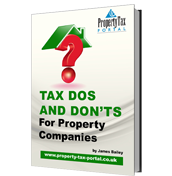 This easy to read guide has over 45 practical case studies and highlights everything you need to know about properties and Ltd companies. 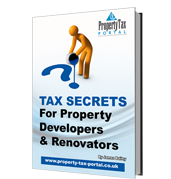 Tax specialist, James Bailey reveals how property developers and renovators can beat the tax man by following proven tax saving strategies.